It has its share of ardent supporters, who see it as a force for positive economic and social change, as well as die-hard opponents, who lament the loss of jobs and the damage done to some small towns and cities. Whatever the sentiment, it is hard to deny the tremendous effect the North America Free Trade Agreement has had on its three participants. It is now the largest trading bloc in the world, covering 475 million people and accounting for more than $20 trillion (that’s trillion with a T) in trade each year. Given the entrenched interests and widespread concerns of either American cultural hegemony or cheap Mexican labor, it is not surprising that the road to an agreement was long and tortuous. 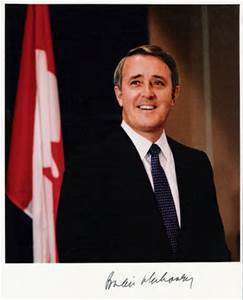 Canada and the United States began to negotiate a free trade agreement beginning in the late 1980s with the election of Brian Mulroney as Prime Minister. When Mexico was rebuffed by Western Europe, which was much more enamored of the newly liberated countries in Central and Eastern Europe, it too wanted to join in. 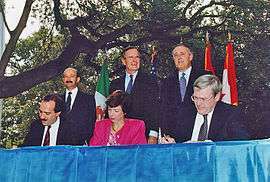 Negotiations among the three nations took years, with the final negotiations lasting for six weeks in the summer of 1992, concluding on August 12; NAFTA was signed on December 8. It went into effect on January 1, 1994, with the immediate elimination of tariffs on more than one-half of Mexico’s exports to the U.S. and more than one-third of U.S. exports to Mexico. Within 10 years, all U.S.-Mexico tariffs were eliminated except for some U.S. agricultural exports to Mexico that were to be phased out within 15 years. 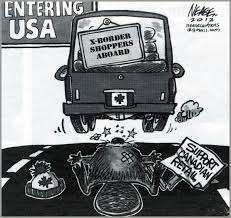 Most U.S.-Canada trade was already duty-free. NAFTA also seeks to eliminate non-tariff trade barriers and to protect the intellectual property rights. Dale Slaght was very involved in the creation of the Free Trade Agreement with Canada. He was a Commercial Counselor in Toronto, then returned to Ottawa as a Career Minister just as NAFTA was being negotiated and signed. Julius L. Katz was the Deputy Director to the Special Trade Representative throughout these negotiations. Katz and Slaght were interviewed by Charles Stuart Kennedy in July 2005 and May 1995, respectively. SLAGHT: Toronto was a wonderful place…an international city that had a lot of the flavor of being an international place, and in a very interesting time. In 1988 there was a national election in Canada, and the principal issue was whether Canada would join the United States in a Free Trade Agreement (FTA). The local party opposed it, and the [Progressive] Conservative party [led by Prime Minister Brian Mulroney, at left] supported it. There were major debates in the society on the pros and cons of coming so close together with the United States, what it would do to its cultural industries, what it would do for its business sectors, what it would do for resolving the necessity to restructure much of Canadian industry so they’d be competitive with what they viewed as more competitive U.S. sectors…. We helped organize a group in Toronto of business leaders who supported it… Eventually they voted for the FTA, for the Canada — U.S. Free Trade Agreement, and it’s now almost uniformly supported in Canada….NAFTA is the son of the Canada — U.S. Free Trade Agreement. A lot of the business in Quebec has moved to Ontario. They didn’t want to fool with Separatist issues and radical nationalist groups in Quebec. A lot of the banks…most of the banks…are now headquartered in Ontario. 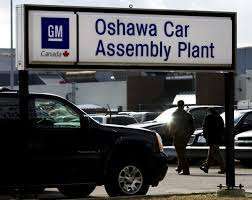 Ontario is the manufacturing center of Canada. The GDP of Ontario is just about as large as the rest of Canada put together. It’s where the manufacturing base is and where most of the commercial activity remains today. There is no American Chamber of Commerce in Canada. Why, you ask? Because the U.S. companies in Canada want to be viewed as Canadian companies, not American companies. In many U.S. companies, you won’t see an American flag flying on the flagpole outside. You’ll see the Canadian flag. To this day there’s not an American Chamber of Commerce in Canada. One of the sticking points of the negotiations for the Agreement – the Canadians said, you will not impact our cultural industries negatively. And we said, if you restrict our access to your cultural industries, we will take action against you. We left it at that. As far as I know, we have never taken trade measures against Canada for their restrictions on advertising in Canadian magazines or U.S. magazines that circulate in Canada, preventing radio broadcast or television access. Canadians are very sensitive to their cultural industries. The folks that were the loudest opponents to the Canada-U.S. Free Trade Agreement initially back in the late ‘80’s were the intellectual elites: the professors and the journalists, the elite media, very concerned that they would be overrun by American culture. I find this so interesting because there are so many Canadians: [noted network journalists] Morley Safer and Peter Jennings and a half a dozen comedians are all Canadian. You’ll never hear a peep from us about the infiltration of Canadians into our culture here, but boy, was it an issue in Canada! It became even a better relationship when I went to Ottawa years later. The Canadian government was interested in this Free Trade Agreement, and we worked closely with Ontario provincial officials and to the extent that I was involved with federal government officials with trade commissioners from the federal government, to promote the FTA. We had to be a little careful how we proceeded, because we didn’t want to be viewed that if we wanted it so much that maybe Canadians would say “It’s not in our interest.” There was careful handling of it, but the circles I ran with were, by and large, so strongly supportive of it that I didn’t really need to parse my words at all. I didn’t spend as much time in the U.S. as in Canada, but I spent a lot of time in the U.S. doing speeches at events organized by our domestic operation. We are an integrated service. We have offices not in all but in most of the states. This was a hot topic, a priority, for the administration, so we were required to organize, to the extent possible, regular sessions on selling to Canada. My office and our Canadian office in general was called upon to be the primary speakers for these things. We would go to Detroit or to Grand Rapids or Des Moines and do speeches on how to do business in Canada, how to abide by the Rules of Origin. My experience with Rules of Origin helped because I was able to explain these systems and how it is important to keep documentation and have proper records in case you’re audited, so that you can show where your imports came from to avoid fines. We had trade shows in Canada, and the environmental field was very active… But we found that Canadians were so used to going to the States, and they have the language, that they did not need our services. So, we spun our wheels a little bit in trying to do these things when we found out they didn’t need us. They’d go to Chicago without giving a thought to it, so we eliminated that program shortly after I arrived. KATZ: The Canadian role was kind of interesting, and it evolved over time. At the very beginning, the Canadians were very passive. I think they saw their role and their mission as being defensive. They were supposed to defend what already existed in the bilateral agreement. As we went on and we had U.S.-Mexico problems, the Canadians would occasionally try to be helpful. But through much of it they were really on the sidelines. As we got to the end of the negotiations, there were a number of provisions that directly impinged on Canadian interests. In fact, there were provisions and issues that touched on the existing bilateral agreement, such as investment policy and cultural policy, where the Canadians became very active. SLAGHT: One issue that we dealt with was called the Rules of Origin. When you have a Free Trade Agreement with another country, you have to determine what goods qualify and what goods don’t. If you have a Czech product coming into Canada and it’s merely transferred from Canada to the United States, that’s not a Canadian product, so it shouldn’t qualify. For instance, if you put together a suit made from material from the United States, it qualifies even though the final assembly is in Canada. The apparel manufacture would have to keep track of the cost of the zippers and the buttons and the fabric and all this and where it comes from. Very complicated rules, but we spent a lot of time helping firms understand those rules to avoid the penalties which were serious. One of the benefits of NAFTA was the establishment of, if you want to call it, an appeals court where you didn’t have to get attorneys and the local courts involved either in Canada or the United States. They’d study the case and determine whether the laws of the country, whether the Commerce Department, for instance, and the International Trade Commission, in a dumping case or a subsidy case followed its own rules, and whether the assessments, judgments, made by those two parties were fair. We got overturned on some, we won some, but the process was in a sense a way to channel all this anger and furor into a quasi-judicial effort that took the heat out of a lot of the bilateral relationship. We have more than a billion dollars a day traded between our two countries, every day, 365 days a year. Most of that trade, 98% of it, goes without a problem…By and large; it’s a fairly good trade relationship. There will always be under the surface for many Canadians a little tension with respect to us. We’re the big boy next door. They’re always a little more sensitive about what we do and how we do it because it might draw them into something that they don’t want to be drawn into…They’re big on international organizations to, if you will, thwart the overbearing United States in the bilateral relationship with them. They’re very big in the United Nations, very big in other international organizations. They joined the OAS in the ‘90’s to play a role there. The Canadian federal government, which had opposed initially this agreement with us when it was in opposition, was now very supportive. They had campaigned on a promise to study the whole thing and maybe turn it around. They realized very quickly that this was in Canada’s benefit, this was to Canada’s benefit, and had been that way. It’s not an issue in Canada any longer. 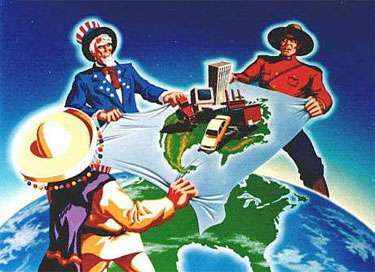 NAFTA has been a success for the United States and for Canada…Maybe there were some ways the Canada-U.S. Free Trade could be improved. They didn’t like some of the dispute settlement procedures that had been agreed to, but they didn’t want initially to join Mexico in this relationship. They did eventually because they feared that the United States would become, if you will, the hub of investment decisions in North America. Firms that wanted to enter into relationships, business relationships, in North American, could only go to the United States if they wanted to trade with both countries, because United States had an agreement with Mexico, and the United States had an agreement with Canada. If Toyota, for instance, wanted to put in a new car plant, where would it go if you wanted to sell both to Mexico and Canada? There was only one place it could go — the United States. Canada and Mexico would become spokes in this wheel with the United States as the hub, and they were right fearing that. KATZ: Mexico had a long history of antipathy, if not antagonism, toward the United States, going back to the last century. After the revolution in 1928, there was a long period of very inward-looking economic policies. Beginning in the 1970s there was some effort to reform their economy. Their economy was highly statist, with a great deal of nationalized property, beginning of course, with the oil industry, the hydrocarbon industry, and energy generally. Metals and minerals were partially state-owned, transportation of course, and telecommunications, as in most places in the world. Their trade was highly restricted, with very restrictive quotas. There was an effort in the ’70s to begin to break out of this, and an effort was made to enter the GATT. But that was viewed as treason by some people in Mexico, especially among some industrialists. So that effort was pretty well scotched. But clearly things were beginning to rumble there. SLAGHT: One of the problems with Mexico was that so much of the Mexican money was going to the United States and not being invested in Mexico. NAFTA took care of a lot of that, gave them a sense that they could invest confidently in their own country. Stability of the currency, the peso, and stability in the governmental structure helped. KATZ: There was at the end of the Carter administration a group of private American citizens, Henry Kissinger being one of them, who were involved in a dialogue with the Mexicans. And just before the Reagan presidency, I believe it was in the transition, Reagan had a meeting with the President of Mexico, and there was some discussion about closer economic collaboration. Then, of course, came the collapse in oil prices and the debt crisis. The Mexican economy really went into the tank. 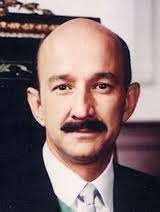 [Mexican] President Salinas then began traveling around the world, trying to encourage investment in Mexico. He took a trip to Japan, which was not terribly encouraging. Then in early 1990 he went to Europe. That came as kind of a shock to him. He ended his trip at the World Economic Forum in Davos, an annual event that draws many important figures in the world: ministers, ex-ministers, CEOs of major companies, and some heads of government. When he got to Davos, in Switzerland, at this World Economic Conference meeting, the buzz was about Central and Eastern Europe. Of course, the old Soviet empire had disintegrated by then, and everybody was talking about the great investment opportunities in Eastern and Central Europe and Russia. So as Salinas surveyed the horizon in North America, there was the United States and Canada, and Canada was a bit of a competitive threat to Mexico, or at least a threat to their aspirations, not a real threat, because Mexico was not a legitimate competitor of Canada at that point. But certainly as an aspiring competitor, they would be shut out. As you looked across the Pacific, nobody there with any great interest and in Europe very little interest. So he decided at some moment in that period, and I don’t know if that was a confirmation of something he’d been thinking about, but he decided that Mexico needed a home, as it were — an economic home. After he returned from Davos, sometime late in February, on one Sunday night, he telephoned George Bush and said “I’d like to do a free trade agreement with the United States.” This came to us as a little bit of a surprise. Not a tremendous surprise, because there had been some rumblings about it, even going back as far as the Reagan Administration, but mostly by Americans. Some Mexicans had also expressed interest, but they were private sector people. So the word came from the White House that Salinas had made this bid, and we had to go to work quickly to see what we thought about it; what were we going to recommend? Of course, we had the precedent of the Canadian agreement, which was a pretty good agreement, but which fell short in a number of ways. No, we hadn’t really gotten to that point. In fact, there was still a certain amount of tension between the view of some people, particularly some people in the Administration, [Secretary of the Treasury] Jim Baker, [Under Secretary for Economic Affairs and the Counselor of the State Department] Bob Zoellick and [Secretary of Commerce] Bob Mosbacher, who thought that we ought to do bilateral free trade agreements wherever we could. And then there were the old multilateralists, like myself, who thought that our primary interest was in fostering the multilateral system…When they said a free-trade agreement, did they mean a true free-trade agreement in the sense of a reciprocal comprehensive free trade agreement, or were they looking for a special, preferential arrangement, really kind of a one-way free-trade agreement? Then we began some discussions with the Mexicans. We had a series of conversations. We tried first to negotiate a statement, and what we wanted was a comprehensive agreement, covering trade and goods and services, investment, and intellectual property. Those were the four basic pillars. Of course, that didn’t mean that there wouldn’t problems in each of these areas. So we got past that, and sometime in the spring of 1990 it was decided that the two Presidents — and I think they met somewhere, on the edge of some other event — should ask their Trade Ministers to make a recommendation to them as to the feasibility of the negotiation and the terms of reference, and so forth. That’s when we began having very active negotiations about the shape of the table, as it were. That is, what would the nature of this negotiation be? In fact, we ended up with a terrific agreement, far beyond what the Mexicans had any intention of agreeing to when they started. There were some very politically difficult things, like compulsory licensing of pharmaceutical patents. It is a worldwide problem in many countries. The laws require that pharmaceutical companies give up their patents or license local firms to produce their products. We always regarded that as a taking of intellectual property… Mexico, like many countries, pretty much ignored, or did not enforce copyright laws. So that books, publications, music, computer tapes, video tapes, etc., were being counterfeited or effectively stolen. So we got that agreement. 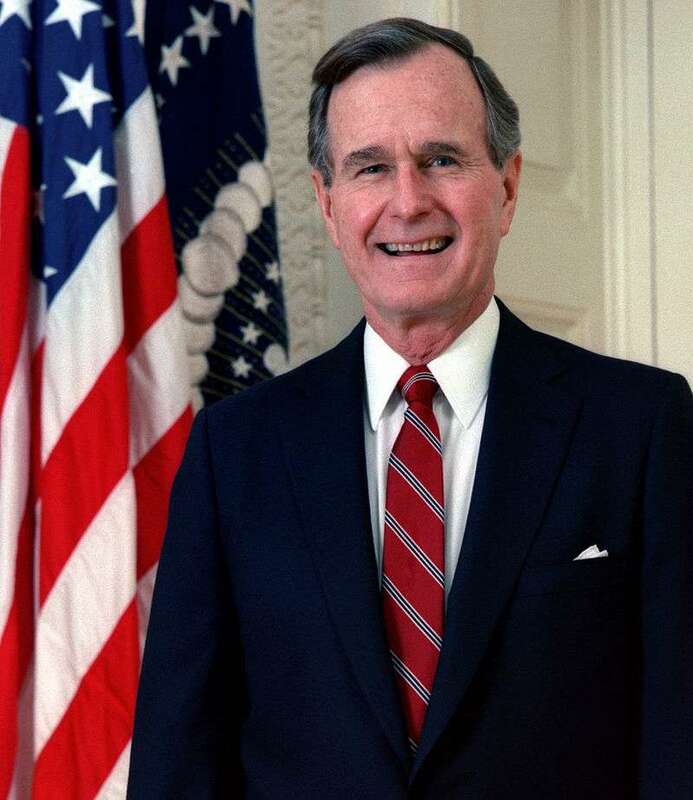 Over Labor Day of 1990, President Bush was at Kennebunkport, and Brian Mulroney, the Prime Minister of Canada, was his weekend guest. And he said, “George, we’d like in on this negotiation.” So that started another debate within our Administration, with some folks saying, we don’t want the Canadians in this…They are going to be a problem. Canadians are very difficult. A whole series of objections. And interestingly, many of these were coming from the State Department. I argued on the other side of this, that we couldn’t exclude the Canadians…I didn’t like the prospect of having many bilateral agreements, because at heart I was, and remain a multilateralist. And I saw these free-trade agreements as being not only an exception, but I saw the possibility of harmonizing them with the multilateral system ultimately. But we worked out with Canada an understanding that no one party could effectively block the other two from proceeding. So if Canada decided that it could not agree, then it would step aside. If we couldn’t reach agreement with Mexico, of course that would not prejudice the existing agreement. So by middle September it was decided that Canada would be a party to this, which required an amendment to our fast-track notice to the Congress. This notice period then had begun, and I said, “O.K., let’s get to work, and start exchanging information.” We had a couple of meetings, but it was clear that nothing was really happening very fast…Their decision process went right up to the top, so it was slow. We formally began the negotiations on June 12. We had our first ministerial meeting in Toronto, where we agreed on the organization of the negotiation. Basically the structure was three levels of negotiators. The three ministers at the top were the ultimate authority. Then three chief negotiators beneath them, who would have day-to-day responsibility for the negotiations. I was the U.S. Chief Negotiator, John Weekes for Canada, Herminio Blanco for Mexico…We had 22 negotiating groups on all of the issues: tariffs, services, intellectual property, travel, business travel, investment, energy, etc. The negotiations lasted 14 months to the day — we began on June 12 and concluded on August 12. We had seven ministerial meetings and the Chiefs met 16 times in various locations in North America. And of course the negotiating groups met even more frequently, and for longer periods of time…There was a Chiefs’ meeting that went for almost a week. And then the Ministers came in and they met for 12 days and nights to finish the negotiation. All through this process, we also felt it was very important to carry out our consultation process and at the beginning of this, having in mind previous experiences, I instructed my subordinates to keep detailed records on the meetings that were held. We had on the average one consultation a day with somebody in the Congress, with a member or staff people, and four a day with the private sector, with our advisory committee structure, which consisted of 1,000 public advisers. But additionally, with other associations, or anybody we could identify that might have an interest. What happened was, we reached agreement at 12:40 am on August 12, 1992. Then there was a period of fine tuning the text. The text had to conform to the agreements, and it had to have legal scrubbing. And that went on for weeks and weeks and in fact, it ended up being months. But our target was to initial and sign the agreement. I believe the initialing was on October 7th in San Antonio. There was a ceremonial initialing of the agreement with the three Ministers, the three Heads of Government standing behind them, and a lot of private sector people. The agreement was ultimately signed on December 7, because there was another 60-day waiting period. There was no formal ceremony for the signing; that was really anticlimactic. But then we left office. SLAGHT: Canada [now] sends 90% of their exports to the United States, probably 90% plus now. Mexico approaches that now, too. They are very highly dependent on the U.S. economy which can be risky for both countries, but they are. A lot of U.S. firms have operations there. We found, for example, in the textile area, that U.S. firms in North Carolina shut down their operations that required a lot of hand labor to sew garments together and moved those to Mexico. But that increased 5-, 6-, 10-fold the amount of material — textile fabric — that they would produce to send to Mexico for the final assembly operation. It was a very strange phenomenon where half the textile industry, the apparel industry, was supportive of us, and half wasn’t. If they were integrated, then they generally supported us. If they were just in the final assembly operation, then they were against it…That process continues. Mexico is not the sleepy agricultural based society that you and I perhaps have in our mind. It’s still a country that has some issues to deal with, but it’s come a long way, and NAFTA’s helped. NAFTA’s helped, indeed!